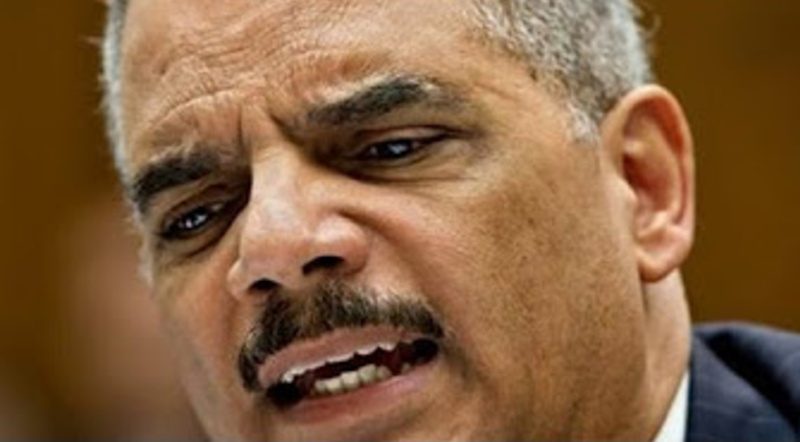 Translation: Holder pressured a lot of people to drop investigations into Obama, Hillary, the Clinton Foundation, numerous other Democrats and their banker friends and now wants them to continue the cover-up and say they were not pressured and forced to suspend criminal investigations by the AG. A race-baiting, bottom-feeding rat getting a little “uncomfortable”? 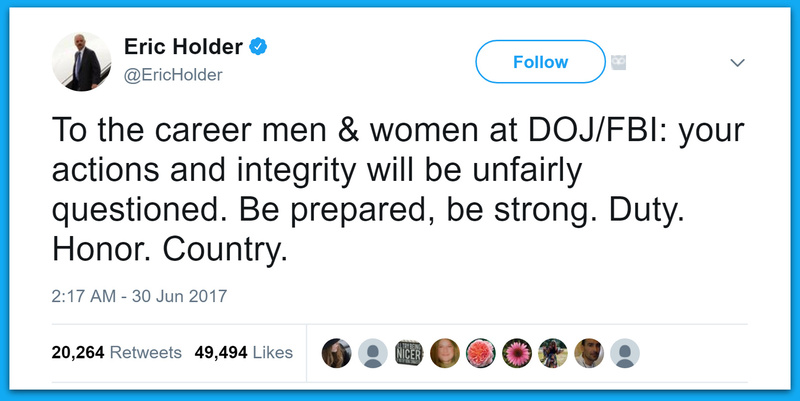 TGP: Former Attorney General, Eric ‘Fast N Furious’ Holder sent out a late night, ominous tweet to the ‘career men & women at the DOJ/FBI’.